Recently, I've been looking for the Turban style that suites my liking. undeniable, i LOVE Yuna's style and some other great examples too but i'm quite hesitate on the fact that can my round face carry their look? Easy peasy right? 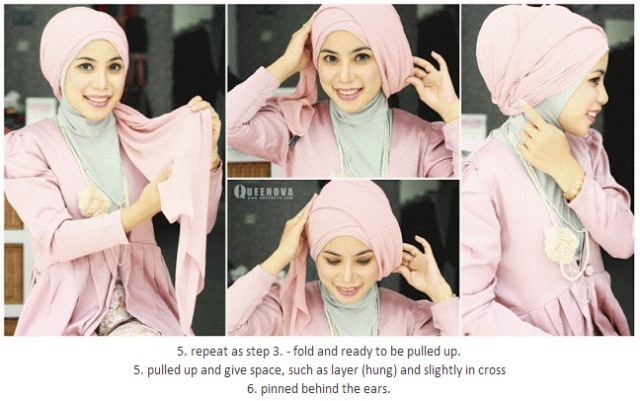 my problem here is arghh..i don't have that neck-covered inner! hahaha..so, in order for me to lock this look on this coming Sunday, i should hunt for the inner beforehand. 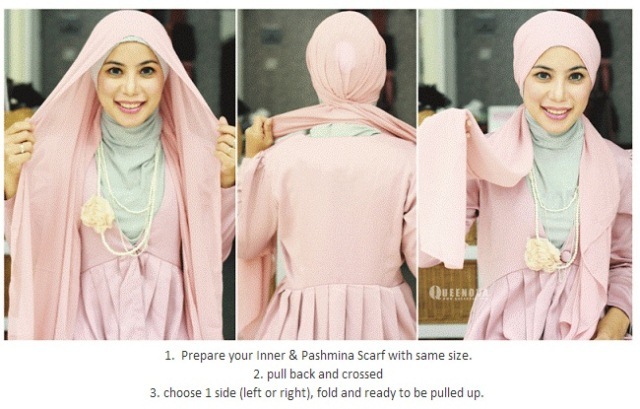 hadoi...no time lor, so not really promising but yet this look is sooo sooo inspiring! Credit tutorial / photo / descriptions to the owner Queenova.com. you are most welcome to visit her. Click Here to go directly to the original post.